Five hundred years ago, a single monk had the audacity to nail his problems with the Church to the door of the Church. 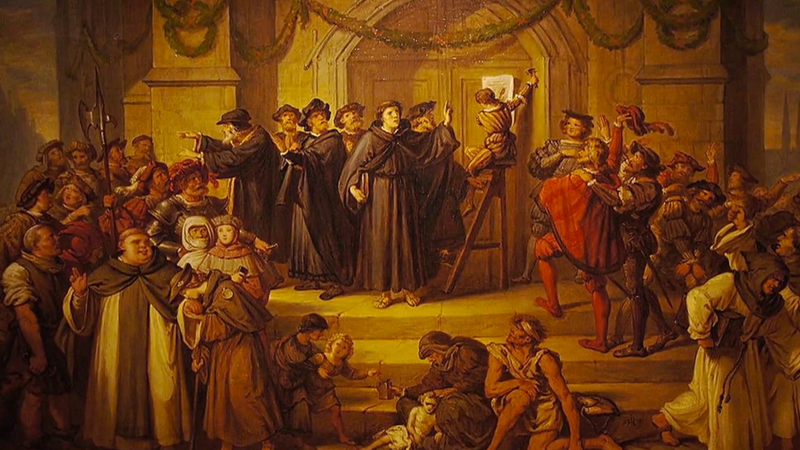 The single most influential man in the history of the world since the time of the apostles, who was Martin Luther and how did his actions on October 31, 1517 change the world? The story develops as we see the principal characters, Peter, Judas, and Malchus process the harrowing account of Jesus’ road from the garden to the cross. Each life is not only interwoven with Jesus, but also with each other throughout this story of a life given for a life saved, should they choose to accept it.